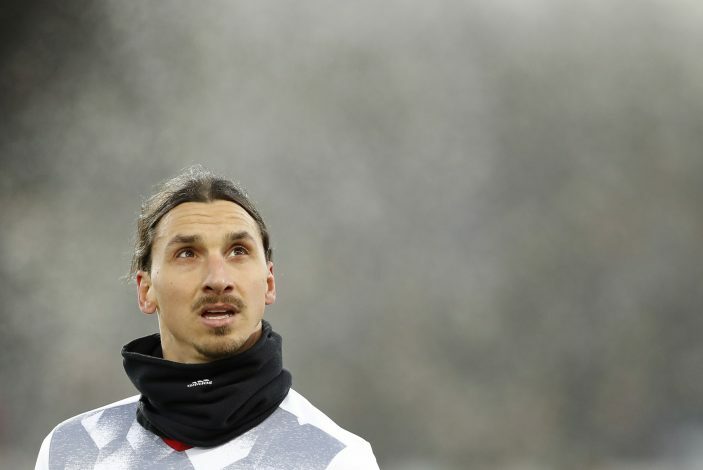 ‘King’ Zlatan Names His Most Talented Teammate Ever, And It’s A Surprise! Football superstar Zlatan Ibrahimovic has won an enormous amount of laurels in his club career and played for some of the biggest teams in Europe. The charismatic forward has plied trades in Holland, Italy, Spain, France, and England, and has a trophy stat that very few celebrated personalities can match. The Swede has played alongside some of the greatest names in football, including the likes of Lionel Messi, Wayne Rooney, Andres Iniesta, and Luis Figo, to name a few, but none of them were the most talented, according to him. When asked by The SPORTbible about who has been the favourite player that he has play alongside, the former Inter Milan, Barcelona, and Paris Saint-Germain player named former Brazilian international Adriano as his most talented ever teammate. Adriano and Zlatan shared two years at the San Siro with Inter. Adriano enjoyed two brilliant seasons with Inter before Zlatan’s arrival, that saw him amass 47 goals. The world was at his feet, as he went on to be regarded as the next ‘Ronaldo’. However, personal problems led Adriano to never truly fulfil his potential, but anyone that saw him play during his heyday was in awe of the player. The Brazilian powerhouse striker had pace, skill, and enormous shot range to defy defenders during his time. Zlatan went on to reveal that he requested the hierarchy to keep Adriano because he wanted to play alongside the Brazilian when he joined Inter in 2006. The star player also added that Adriano was an ‘animal’ on the pitch, and rued the fact that it lasted for a short time. Adriano saw his form take a dip since 2006-07, following Zlatan’s arrival. But both the players had enormous respect for each other and shared a deep friendship, and led Inter to win the Serie A that season, as Zlatan finished as the club’s top scorer with 15 goals. The ex-Brazil international had several spells later across many teams, but went on to lose the spark that saw him make a name for both club and country.